We Couldn't Have Done It Without You! 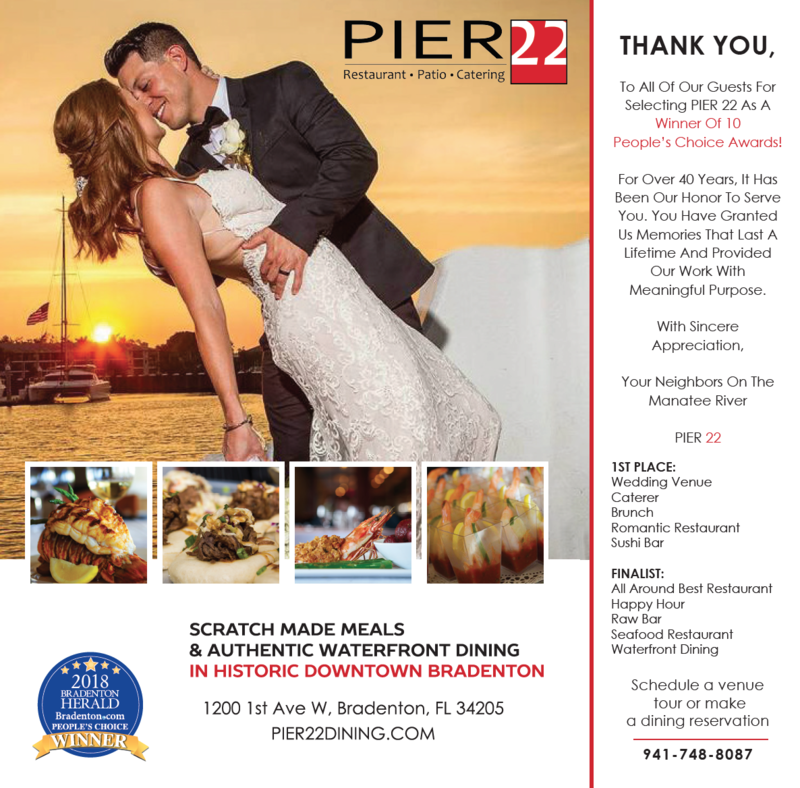 Thank You For Voting For PIER 22! It is with sincere appreciation that PIER 22 accepts 10 top honors from the Bradenton Herald newspaper. Support from our incredible guests has helped us get to where we are today, and I would like to take a moment to extend a heartfelt thank you to all of our fans. We are grateful for your patronage and the time you took to vote for us in the 2018 People's Choice poll. For over 40 years, it has been a privilege to serve you. You have granted us memories that last a lifetime and provided our work with meaningful purpose. It has been an honor to help you with your most important and momentous occasions. Working with you is always our pleasure. Curating only the best possible guest experiences is at the center of everything we do. It’s not just the riverside atmosphere that makes this a great dining location or special events venue, it’s also our passion for hospitality, exceptional client service and fresh housemade meals that makes this place stand out. It is with great pride and responsibility that we continue our commitment to providing an authentic waterfront dining experience for everyone that walks through our doors. We invite you to join us and enjoy the area’s best brunch, best sushi, best romantic atmosphere, best catering, best wedding spaces and so much more!